Editor’s Note: Vonnie Estes is VP of Technology at the Produce Marketing Association (PMA). PMA represents companies from every segment of the global produce and floral supply chain. Estes is a prominent figure in the agriculture biotech scene, having held technology leadership roles at prominent companies including DuPont, Monsanto and Syngenta, as well as for small startups and venture funds. Most recently, she was vice president of business development for Caribou Biosciences, the CRISPR-Cas9 gene editing startup. She’s also been an independent business consultant since 2015. 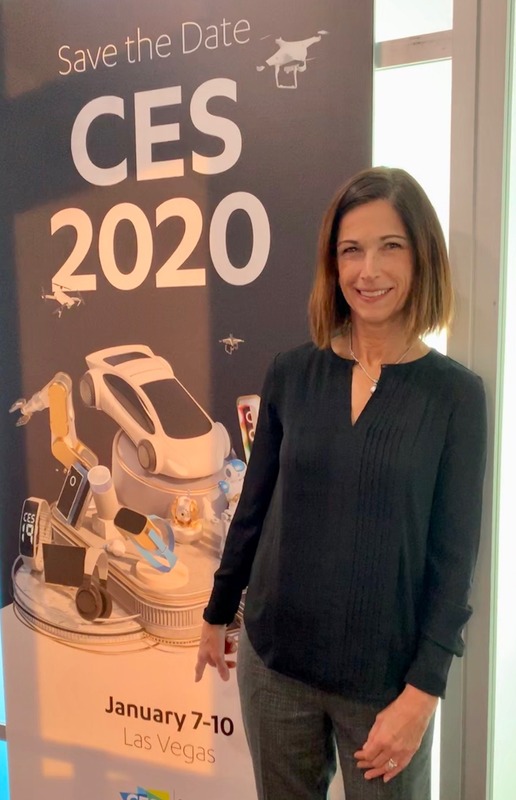 Here she writes about her first trip to the world renowned CES show in Las Vegas. Last week I attended my first Consumer Electronics Show (CES) in Las Vegas with 185,000 other tech seekers. My head continues to spin from the flying taxis and autonomous bread makers. Just two high profile food innovations were present and grabbed attention – IBM’s blockchain initiative with Walmart and Impossible Foods’ meat-free burger — as technology to help us solve problems and increase efficiency in producing food was all-but-missing on the exhibit floor, which was the size equivalent to 32 football fields. Additionally, only one small educational session was devoted to food production. Interestingly, Impossible’s new 2.0 Burger was named by tech publisher Digital Trends as the Top Tech of CES this year. Meanwhile, the opening keynote by Ginni Rometty, CEO of IBM, included a conversation with Walmart about leveraging blockchain as part of a Food Trust platform it has established to help food safety and freshness. The overall CES community may not be applying tech to food and ag yet, but the leaders and innovators are clearly recognizing and beginning to exploit the opportunity. Data is the world’s largest natural resource; 2.5 quintillion bytes of data are created each day but only 1% of data captured is actually used. The amount of stranded data might be even higher in food production. As the food and ag industry learns to capture and analyze data through AI, machine learning, and deep learning, our organizations and supply chains will make decisions based on quick, up-to-date pattern recognition. Machine learning will be applied to the vast amount of data collected allowing us to reduce labor intensity and operate more efficiently. Examples include inventory control and prediction at the retail level; food safety prediction and management of recalls; and unlocking the potential in crop genetics to grow food more sustainably, longer lasting, and easier to harvest. The shortage of labor is food and agriculture’s biggest problem. Robots and autonomous vehicles could conduct many of the repetitive motion jobs in food production. The first step is defining pain points and determining where technology can augment people. Designing systems working with, but not replacing people takes advantage of human judgment, skills, and experience. Examples include smart crop planters, weeders, applicators, and harvesters in the field; robots predicting and restocking in retail and transportation; smart autonomous vehicles moving food around in all parts of supply chain; and vertical farming producing food closer to the consumer. The demand for new kinds of talent was a big part of the conversation about technology adoption at CES. IBM coined the term “no collar” workers to define the necessary knowledge workforce to serve the needs of companies in all industries that are embracing technology. These workers do not need traditional four-year degrees (or the accompanying debt) and are trained through associate degrees and/or apprenticeships. Job changes are not limited to “no collar” workers. Many speakers noted that 100% of jobs will be different in the future because the heavy lifting — physically and analytically — will be done by machines. All parts of the workforce will need continuous training. Every organization will become a technology company. Companies are not able to take advantage of technologies like AI until they have built and staffed a data architecture. To change how work is done, companies must staff differently. For example, in farming operations, the farm manager will become more like an executive CEO with a direct report that manages technology to drive implementation. Most of the tech trained workforce does not pursue a career in food and ag. They likely take jobs in metropolitan areas where they are currently trained. Food and ag needs to continue to reach out and create attractive opportunities for skilled talent. Supply chain demand for trust and transparency in business practices: tools like AI, machine learning and blockchain provide knowledge and transparency at all points of the chain. Proper use of data and insights: all consumers, businesses, and industries worry about data use. Deep insights are only available in a data-rich environment, but data and insights belong to the owner and must be used by permission. Security: cyber-attacks are real. Organizations should have a plan in place for the protection of data before implementing new technology. Bias: algorithms were originally developed and trained by people. Companies need to have a system in place to ensure algorithms are written and deployed without bias. Digital technology is being adopted in food and ag but at a slower rate than other industries. Margins are razor-thin throughout the supply chain. Companies have little appetite to invest in new, unproven innovations with such tight margins. Additionally, food and ag is a very physical industry, spanning all geographies with an actual physical footprint. It is much harder to convert the physical to digital compared to industries like finance where information already resides on computers as digits. Producers as a group are protective and competitive about their data, which doesn’t support the ability to use machine learning across many users. The technologies at CES are the future for food and ag. While there was a notable absence of technology applications on the floor; large companies like IBM, Microsoft, and WalMart are taking notice of the opportunities in our industry. Are we ready?